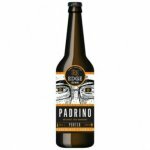 Like "El Padrino" this beer is strong, reliable, smooth, and always looking out for you. Loaded with a wide variety of malts the result is a dark, smooth and truly drinkable porter. The hops are subtle but they let you know they are present. dark smooth unique flavor and truly enjoyable beer. The hops in this beer are subtle but powerful enough to let you know there are there. Vuelta a probar, no le encuentro regusto metálico, predominan los torrefactos. Estaria muy bien si no fuera por el regusto metálico. Cuando la probé de barril no recuerdo que lo tuviera. Y el motivo para tener ese regusto... Será cuestión de probarla de nuevo más adelante. 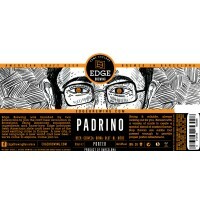 Edge Brewing Padrino 33 cl.